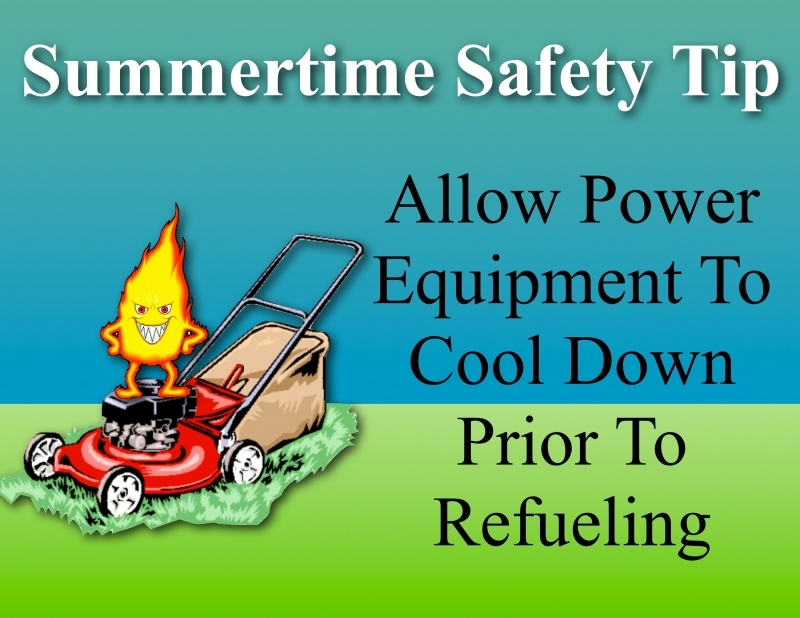 The warmer temperatures of summer can give firefighters a whole new set of challenges. High heat and humidity take their toll on firefighters bodies making their job increasingly dangerous. 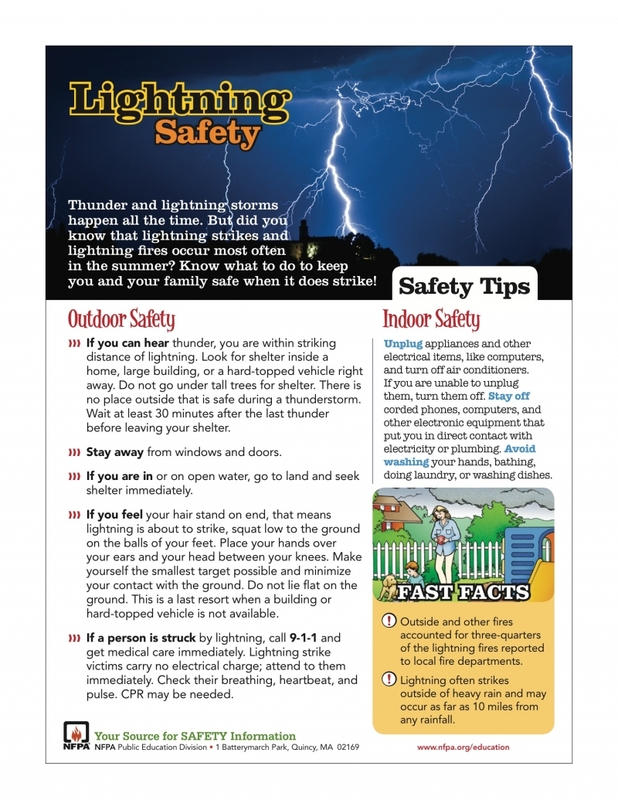 The weather plays a crucial role in fire safety as the warm air can bring dangerous thunderstorms or drought. Each condition can equally increase the volume of fires. When severe weather strikes the fire departments are busy handling lightning strikes to homes, downed power lines, activated alarms from power outages and water rescues from flash flooding. When the weather is dry we become busy with brush and mulch fires. Mother nature is not the only factor of increased summertime activity; people also play a big part. 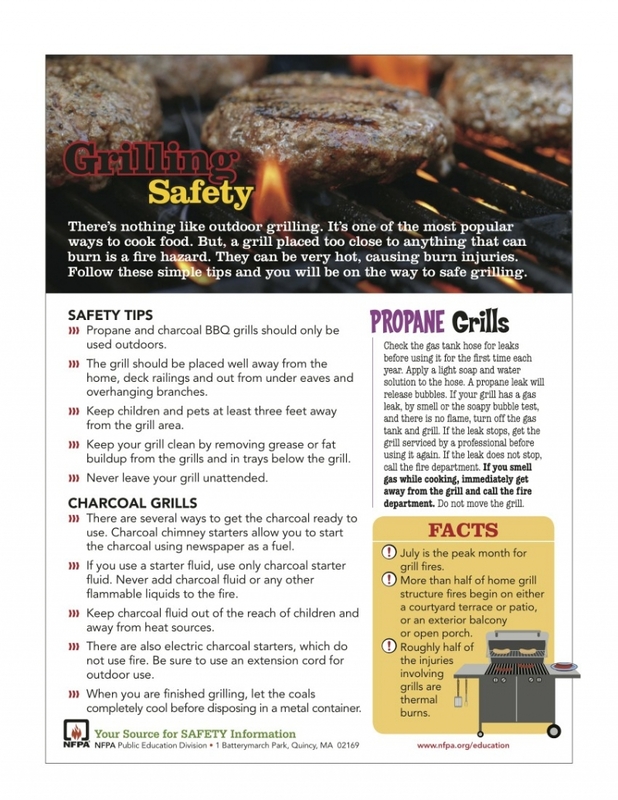 This time of year fire crews often deal with fires involving barbeque grills, lawnmowers, and illegal open burning. If you are traveling this summer it is also important to practice fire safety wherever you may go. 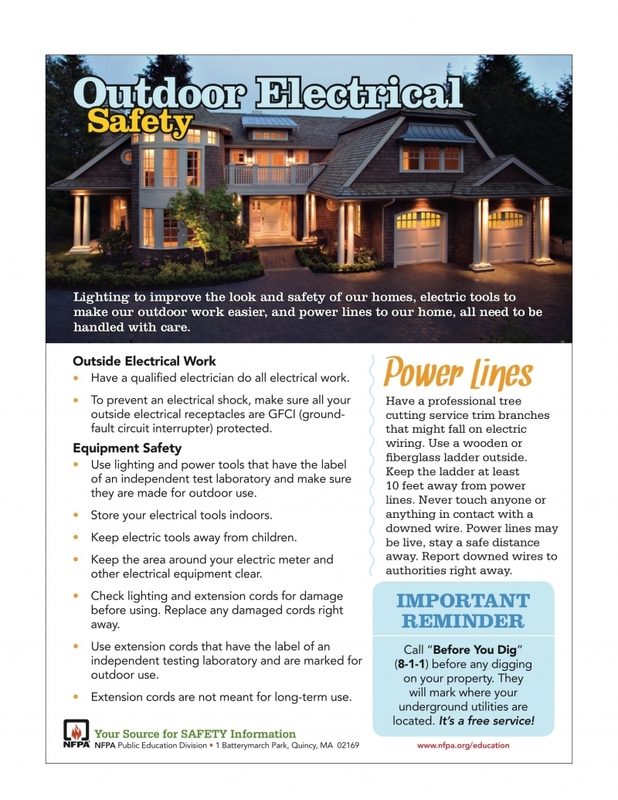 Please refer to the safety information below to keep you and your family safe this summer.